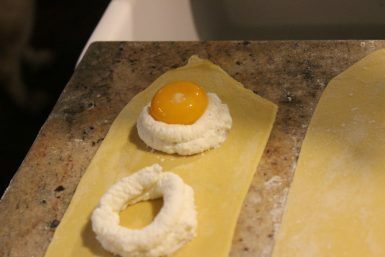 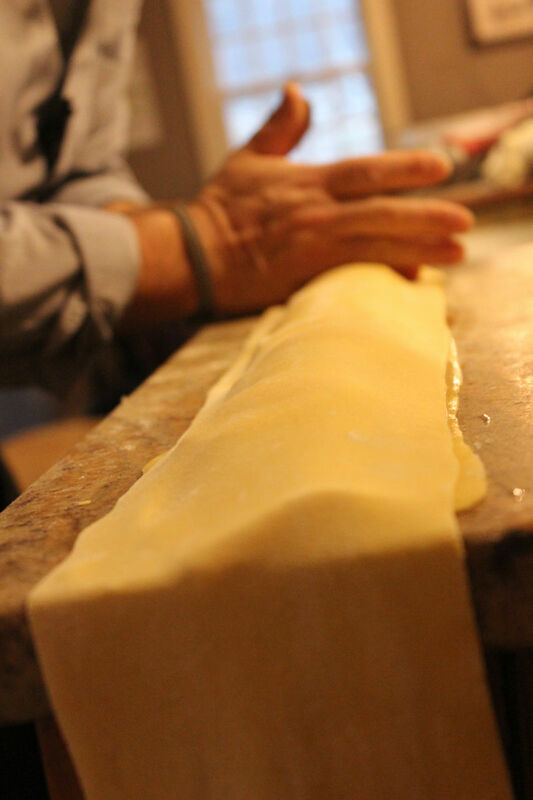 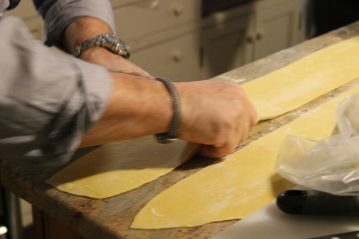 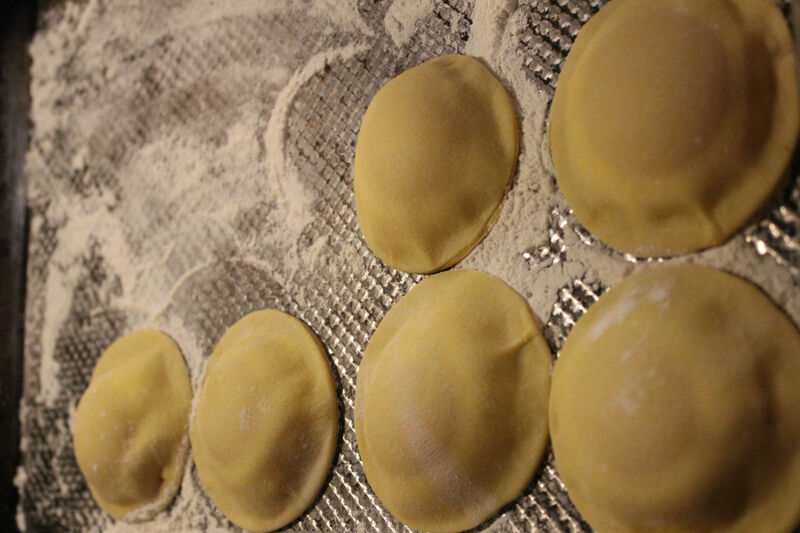 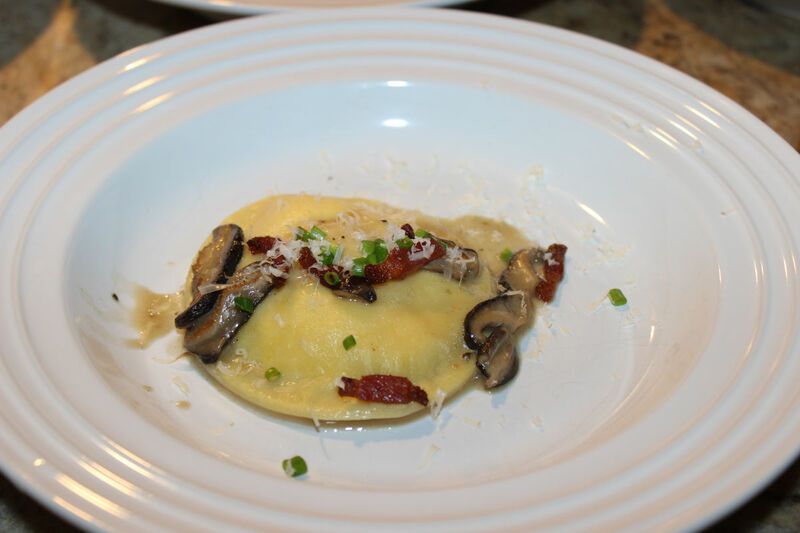 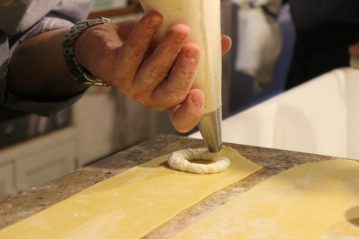 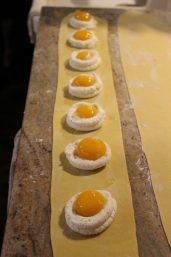 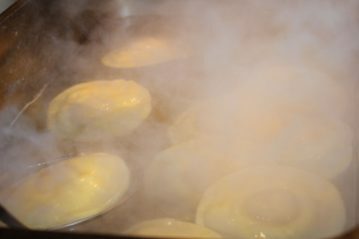 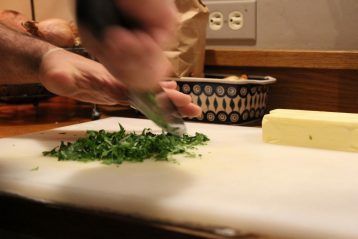 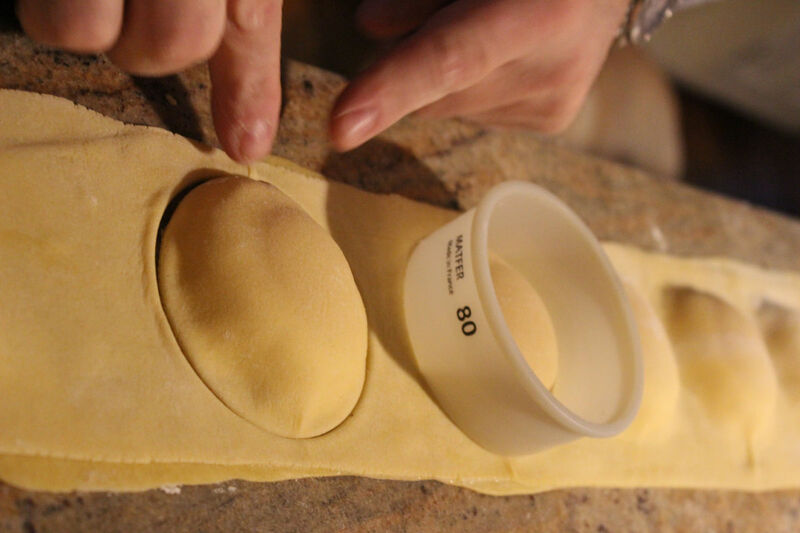 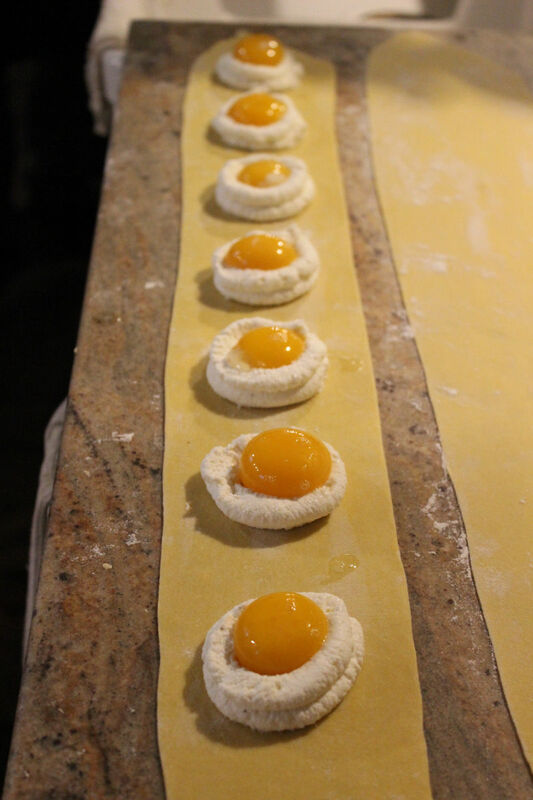 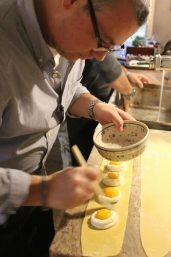 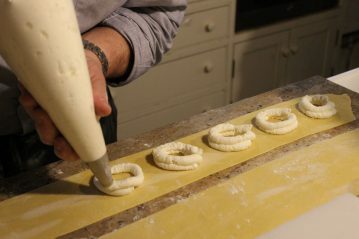 Preparing the spectacular Fresh egg yolk ravioli- adding farm fresh chicken egg yolk to center of ricotta. 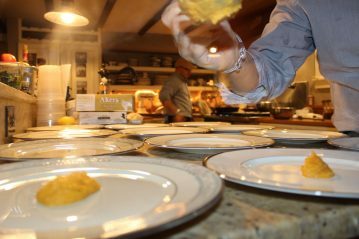 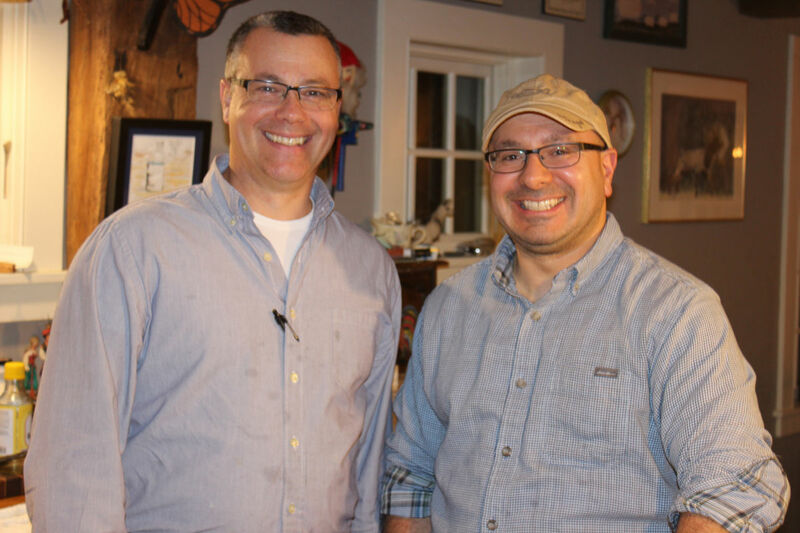 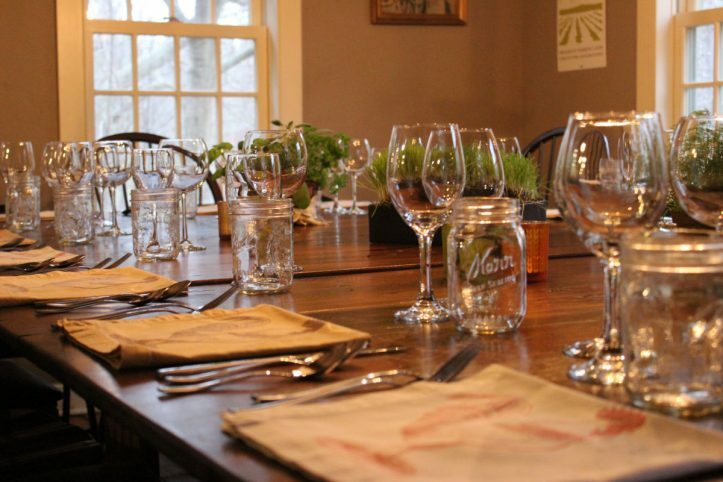 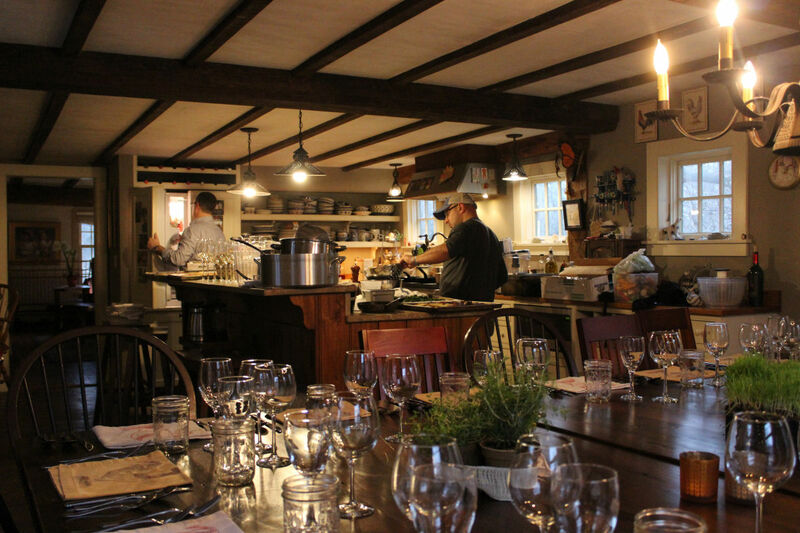 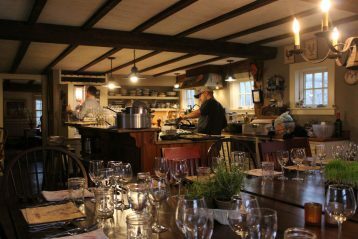 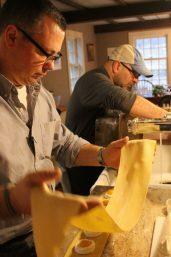 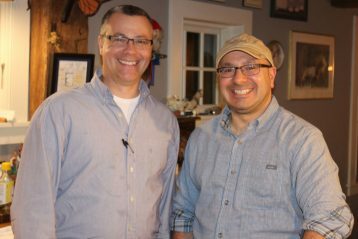 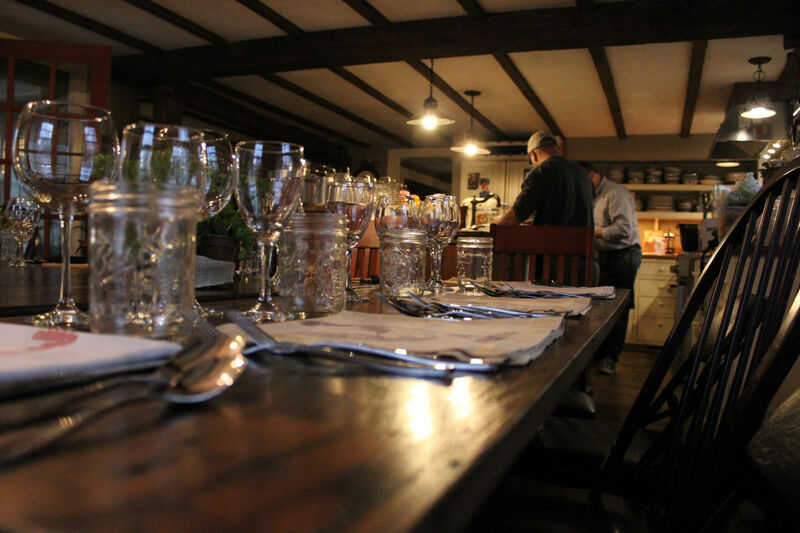 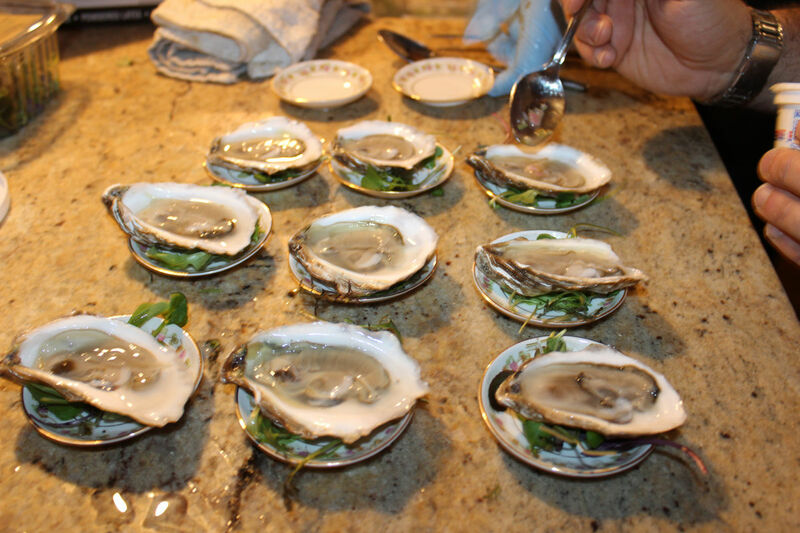 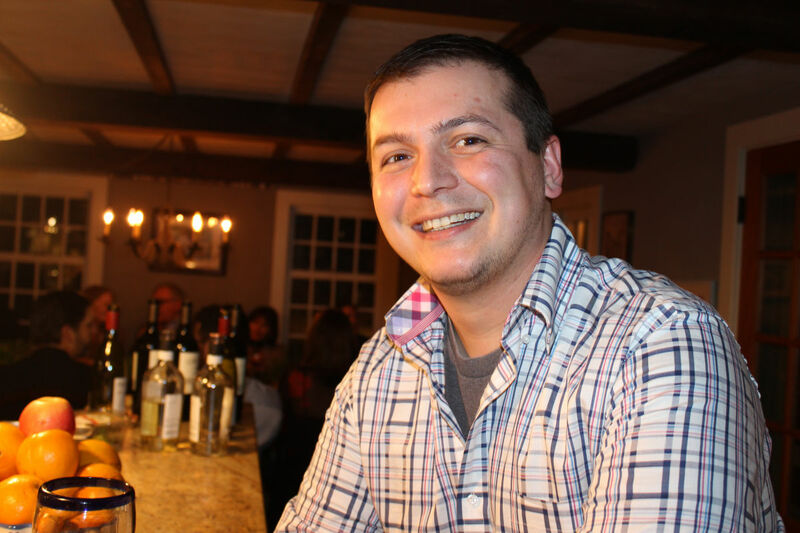 Chef John Brescio and Chef Robert Marcarelli from Liv’s Oyster Bar in Old Saybrook prepared an amazing farm fresh menu in our farm kitchen on January 20. 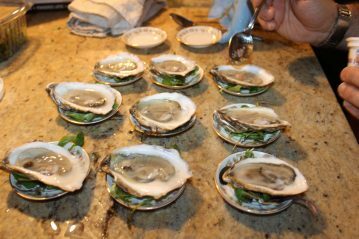 Starting with the best oysters around!!! 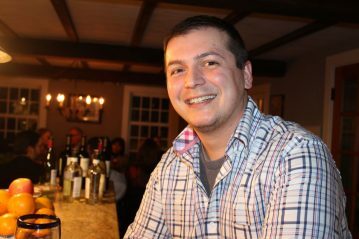 Tony Lombardozzi paired and presented a wonderful selection of grower produced wines from Madison Wine Shop. Preparing the plating of the scallops. 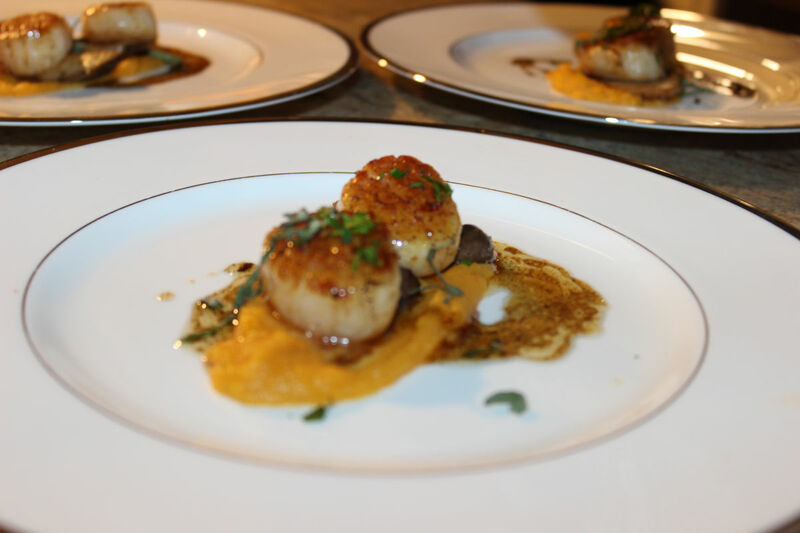 Final presentation of scallops with local Butternut squash. 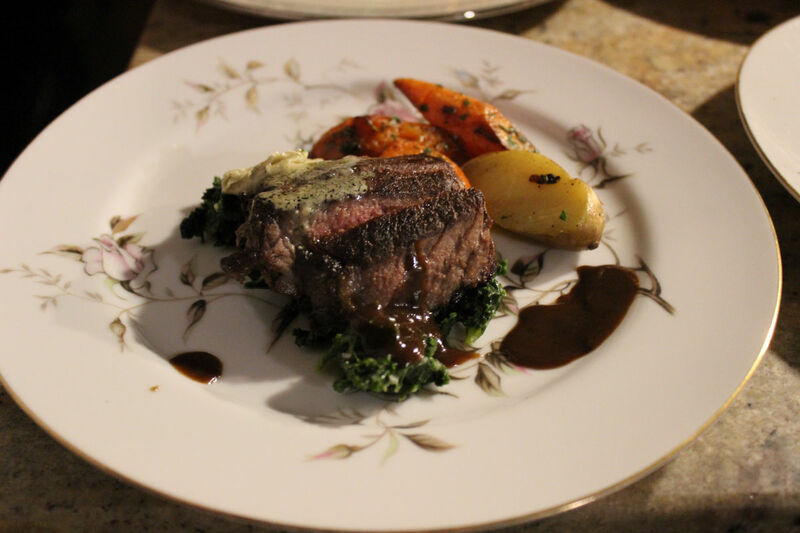 Final course, Field House Farm NY Strip Steak with Ct grown fingerling potatoes.